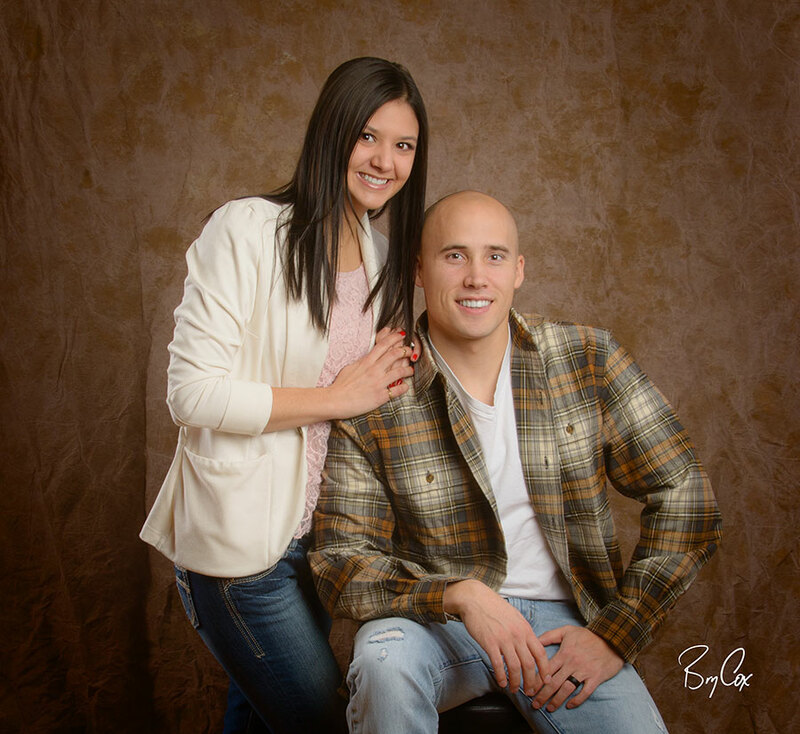 Family portraits are incredibly fulfilling for me to create. A well-made family wall portrait brings joy to people for years if not decades. And Shirley’s family had grown quite a bit since I’d last photographed them. It was neat to see everyone, to hear about their lives as I photographed them, and I always find it especially fun to get little children to not just relax, but to smile and laugh for a portrait. 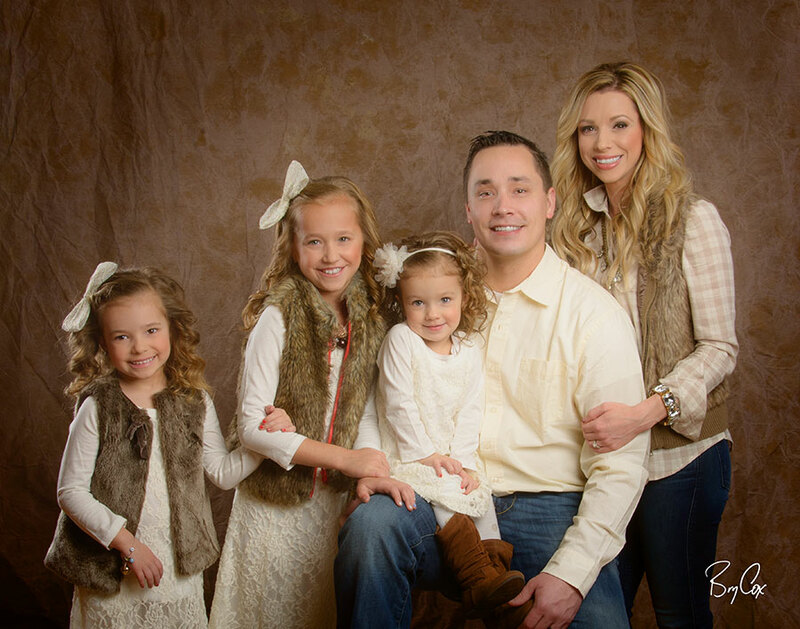 We had talked earlier about doing a large canvas panorama of her family above her couch, and this is the final image. It’s a little hard to see all the great faces online, so I made this 15 second video to show the big group. Because Shirley and her husband were leaving on a religious mission for a while out of the country, the large canvas pano would have been hard to take with them. 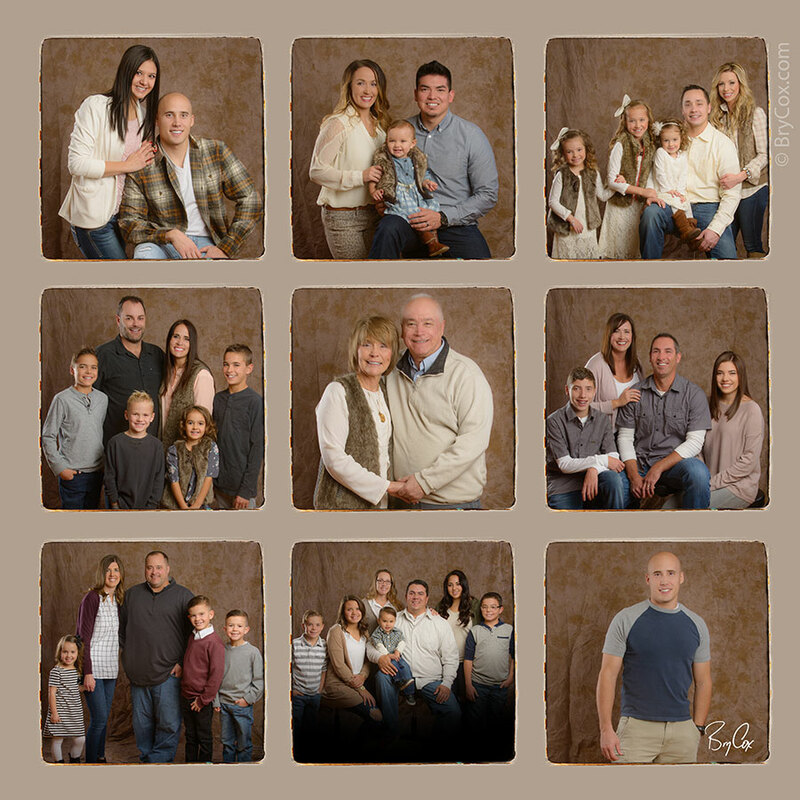 So I used the individual family groups to create this square wall collage. And here are some of the individual families. 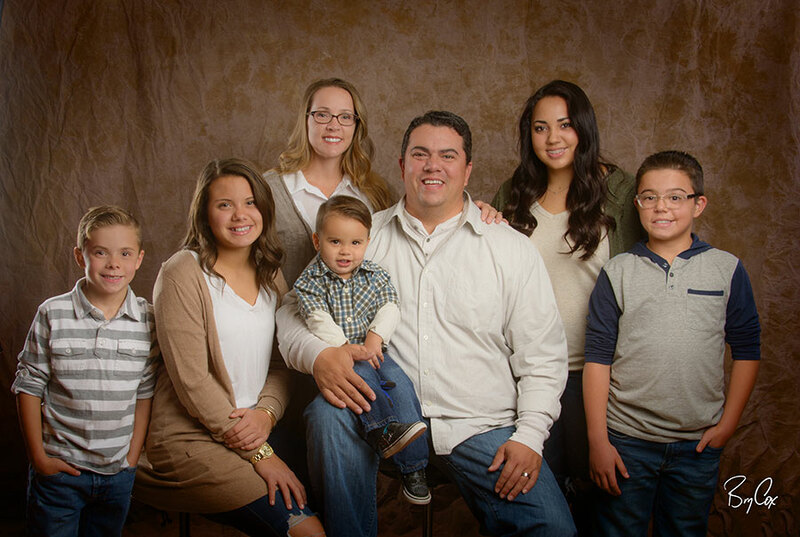 They were each shot individually for the panorama so that they could each get their own portrait, but it also made it easier on the family’s time constraints, as well as making the most of my custom style of lighting. 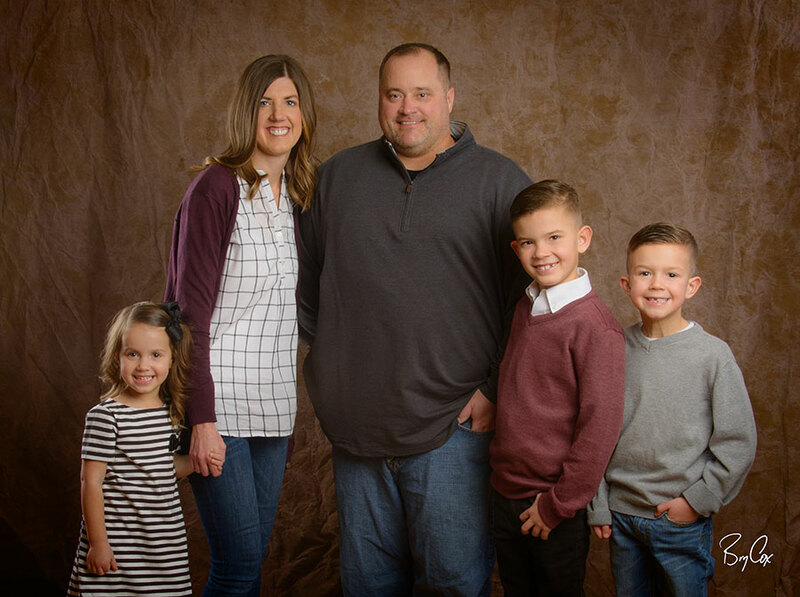 I have a lot of space and options here in my Utah studio, but even a family this large makes for a very tight fit if I were to try and shoot everyone at once all in the studio. But shooting each family separately, we were able to create something much more unique and artistically pleasing, plus it helped the family because there were some members that couldn’t be there all at the same time. Everyone was coming and going throughout the shoot, and we never had everyone in the studio all at the same time. And it all worked perfectly. 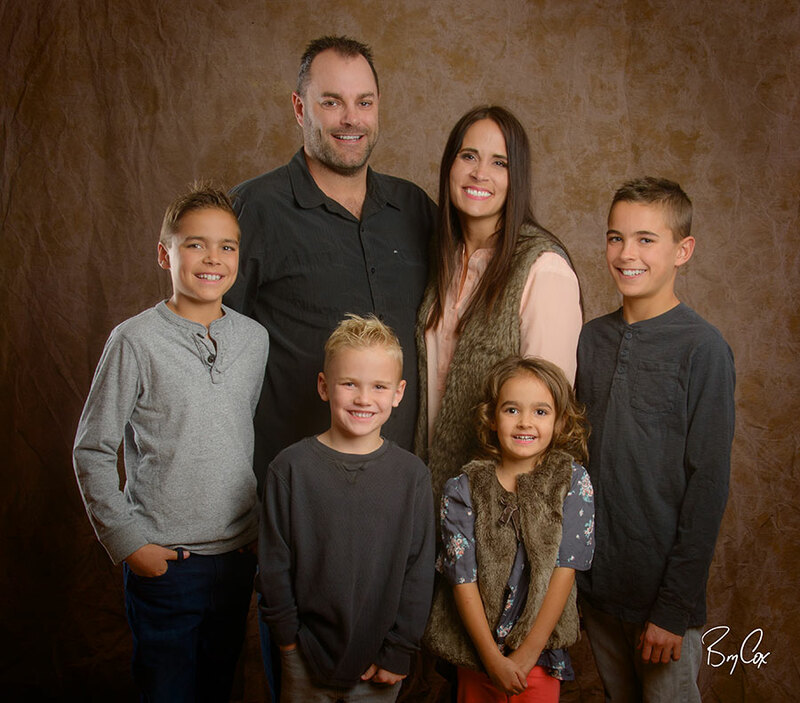 As you view these families, notice how comfortably everyone is grouped together in each portrait, and how great each kid looks. 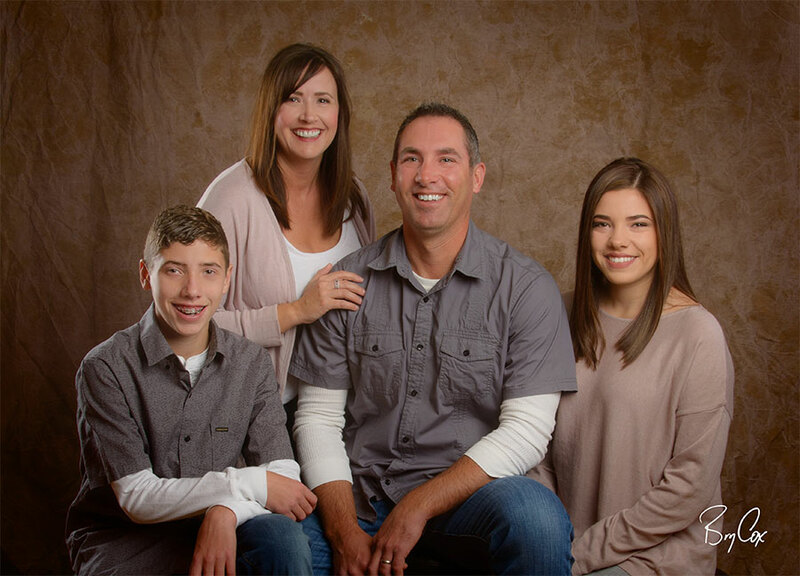 Family portraits are one of the most important images we can create. 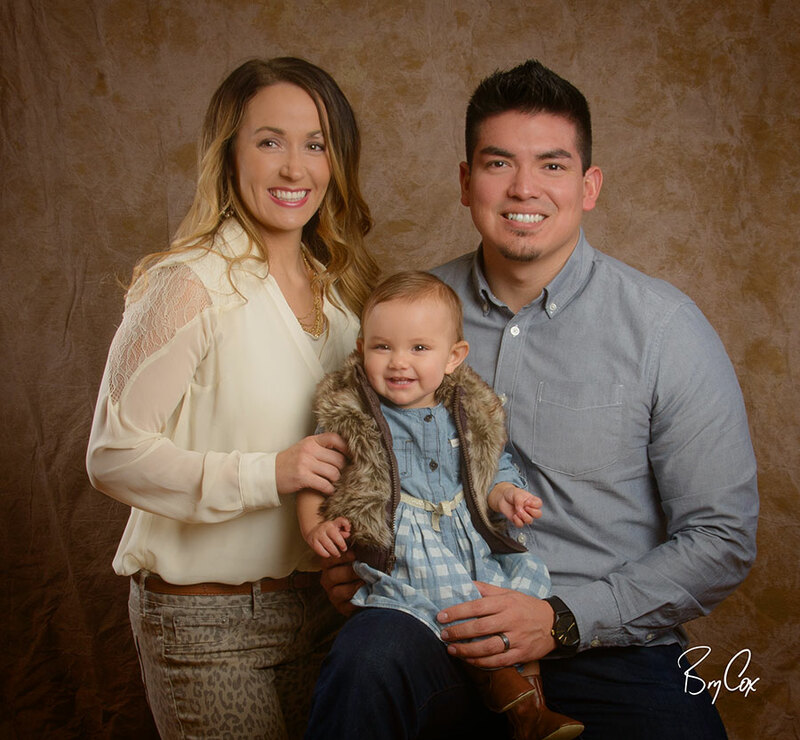 I believe strongly in a great family portrait, and now is a great time to get your family in the studio for a portrait.